I wrote this for the 150th Anniversary observance back in December, as part of the procession that moved from the river through town to the Sunken Road. The procession stopped near the site of the canal ditch–where Hanover Street crossed it–and Frank O’Reilly delivered these words to about 1,500 people. 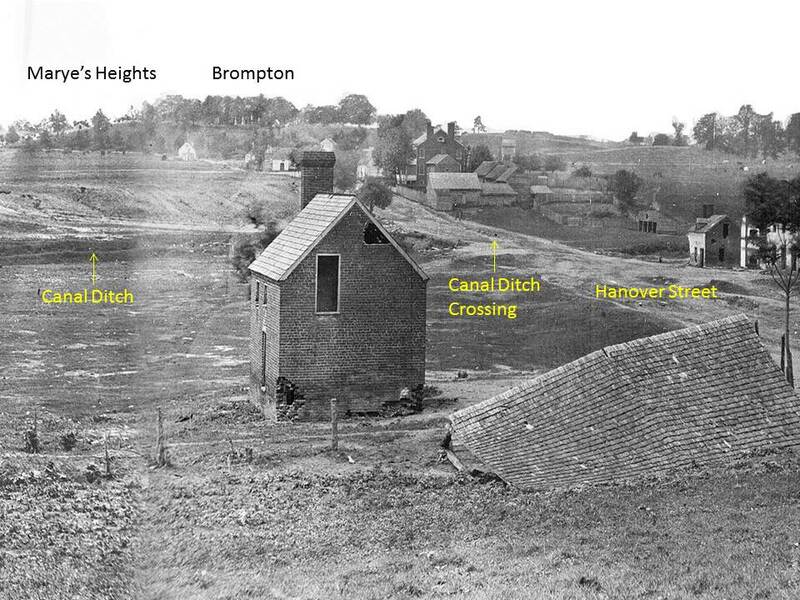 Today the canal ditch runs under Kenmore Avenue. Thousands pass the spot every day, unmindful of what happened here. That’s okay, but it’s well once in a while to stop and remember this powerful story of fear and courage intermingled (as they invariably are). Once here, there was no time for reflection. Men and their commanders could only act. Here they struggled with the great dilemma that confronts every soldier—the competing forces of fear and duty. Narratives of the Civil War—be they modern studies or eyewitness accounts—invariably discuss courage at length and fear very little. Not at Fredericksburg. Fear was omnipresent among Union soldiers on this field, and they freely admitted it. 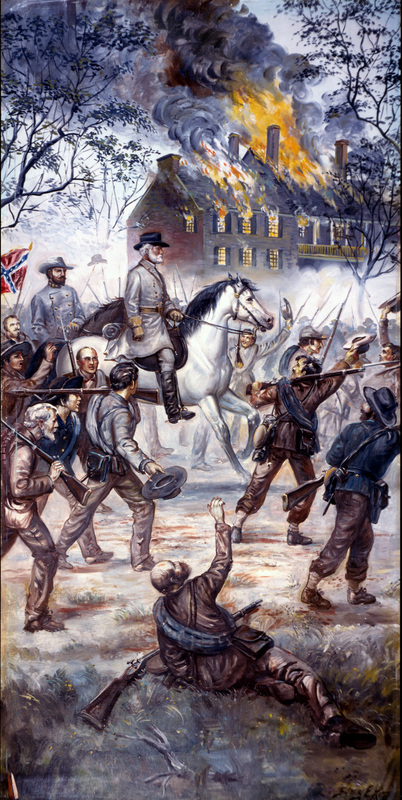 Lee in 1863–more symbolic than real? One of the great benefits of milestones is this: preparing for them requires you to focus on the essentials, to articulate broad and big ideas efficiently and powerfully. We are currently at work on the Chancellorsville 150th (schedule coming soon). Chancellorsville has always been the most difficult of our four battles to convey. While it features giant personalities on both sides, and while Lee and Jackson produced unarguably an immense military achievement, the battle lacks the texture or landscapes of Fredericksburg (with its varied environments and participants) or the high drama of Wilderness and Spotsylvania (as the first clash of Lee and Grant and the evolution of a truly different way of waging war). All dramatic stuff, all important. But, let’s go to the last item on the list: what DID the country say about Chancellorsville? Which leads me to my point: maybe the greatest signfiicance of Chancellorsville resides in what it tells us about the war at large. By 1863, the Civil War had become so large and so complex that even a singular, dramatic, decisive victory by R.E. Lee moved the needle of public sentiment or the tides of war very little indeed. The most unlikely, one-sided victory of the war, born of incredible risk, yielded almost nothing for the Confederate cause. That in turn begs the question: by 1863, had the scope of the war rendered Robert E. Lee’s talents more symbolic than real? Was he the equivalent of Bobby Orr having to play for the 1972 New York Islanders (what a horrifc thought)–an immense talent trapped in a place where he might make some spectacular plays, but with little hope of affecting the larger outcome? The war, it seems to me, had become a grinding effort to accumulate or degrade, and Lee could accumulate no longer. Authors and historians are forever trying to elevate the significance of their subjects. Maybe this is an instance where the larger importance of an event lies not in the impact it had, but in the impact it didn’t have and what that tells us. Our friend Mike Snyder, master of all things Schuylill County and Pottstown, PA, sends along a note about a soldier who fraudulently claimed a disability pension as a result of an injury received the great St. Patrick’s Day race. Thanks very much Mike. William Mintzer Hobart of Pottstown, Pa. rode in the St. Patrick’s Day steeple chase. At some point in the race he was thrown from his horse and hit his head on the ground. In 1879 Hobart applied for a pension claiming the injury happened in the line of duty when a cavalryman ran into him. In 1884, after an investigation disclosed that he was injured in the race, his pension was stopped. Hobart served in Co. C, 4th PA and then the 116 PA and eventually was the provost marshal for the 1st Div. 2nd Corps. After the war he spent the rest of his long life in Pottstown and married a 1st cousin of John Rutter Brooke. 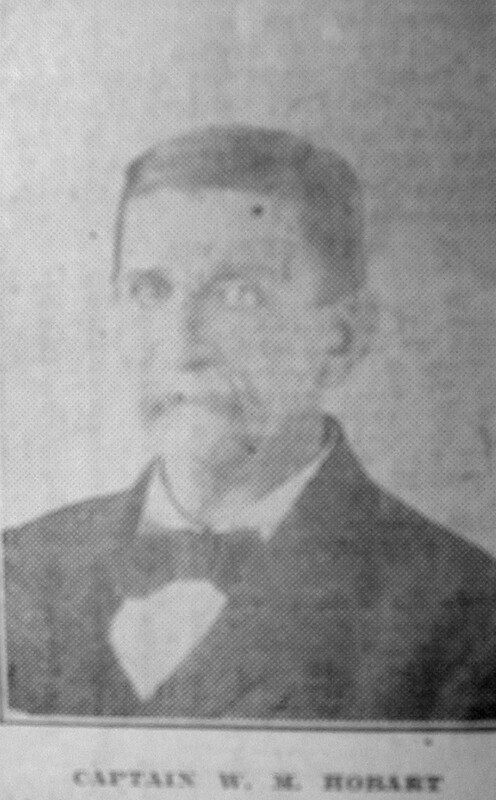 He was still living in June 1923 when the attached photo appeared in a issue of the Pottstown News. There were many 53rd PA veterans in Pottstown and I don’t think they liked Hobart as four of them testified that they saw the event and saw Hobart thrown from his horse. 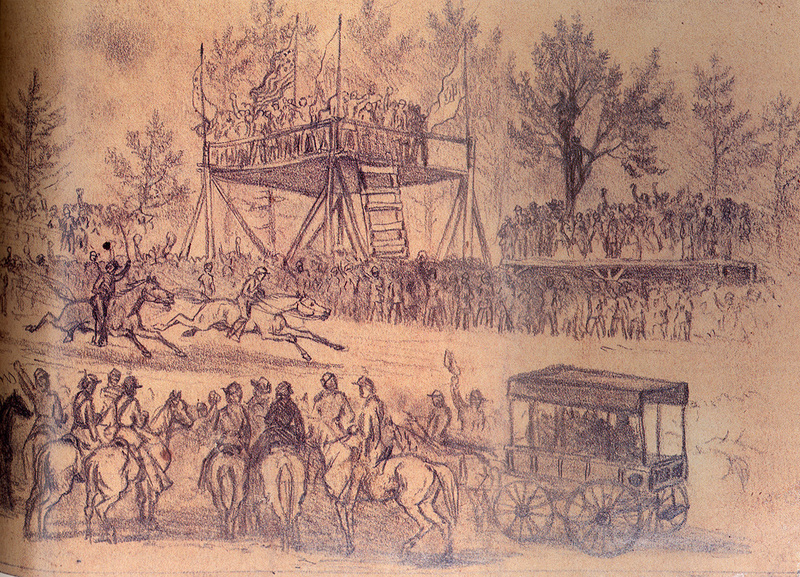 It was perhaps the most raucous day in the history of the Army of the Potomac, chronicled by many, widely covered in the press. St. Patrick’s Day 1863 came three months after the disaster at Fredericksburg and in the midst of a winter of re-emergence from the army. If the fresh bread, clean water, and improved medical care rehabilitated the army’s collective body, St. Patrick’s Day gave life anew to its addled mind. To night I am going to tell you about the great steeple chase in the Irish Brigade on St. Patricks day. In Part 1 of this look at the Chewning Collection, found here, Dr. William J. Chewning amassed over 100,000 Civil War artifacts and opened The National Battlefield Museum in Fredericksburg. This private museum operated under his direction from 1929 until his death in 1937. In his final years, Chewning tried to find a local buyer for the collection, but neither the National Park Service nor the City of Fredericksburg opted to purchase the artifacts. With his passing, Chewning’s widow and son inherited the collection. They, however, did find a buyer. The April 30, 1938 edition of The Free Lance-Star carried an editorial entitled “Fredericksburg Loses.” The column announced the sale of the Chewning Collection to a buyer in Manassas, Virginia. The local paper lifted this editorial from The Suffolk News-Herald, but it might as well have been written by someone within the Fredericksburg community. In announcing the sale, the editor mourned Fredericksburg’s loss of the collection. “The master collection belonged in Fredericksburg and there it should have remained. These relics will be of immense value historically and intrinsically no matter where they are but they will fit nowhere like in the place of their origin. 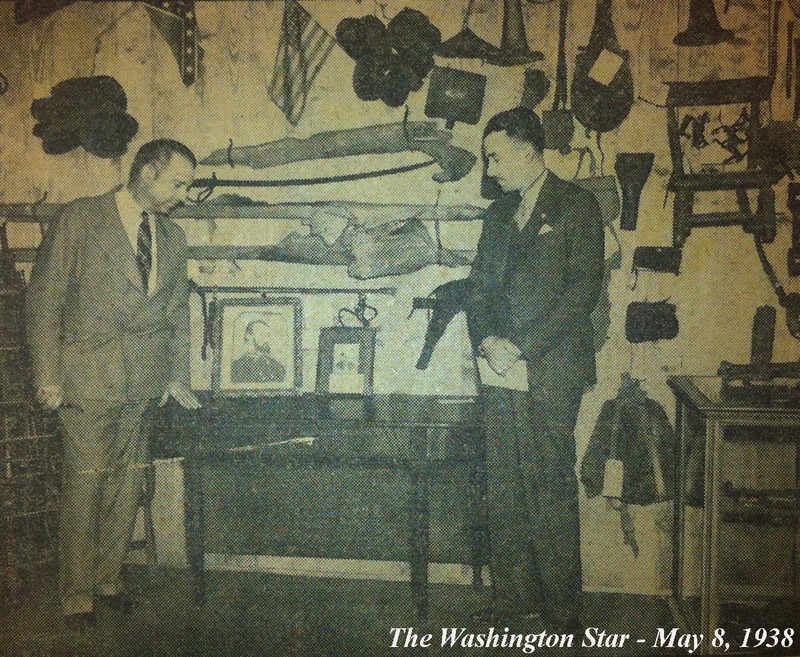 William J. Chewning, Jr. (left) and Julius T. Richards (right) admiring the Stonewall Jackson amputation table in its new home near Manassas. “In announcing the sale Mr. Chewning stated that both he and his mother, Mrs. Anne Page Chewning, regretted the necessity of depriving Fredericksburg of this rare collection. No prospective purchasers who would keep the museum in Fredericksburg could be located. For these reasons, he said, he and Mrs. Chewning deemed it advisable to accept Mr. Richards’ ‘highly attractive proposition.